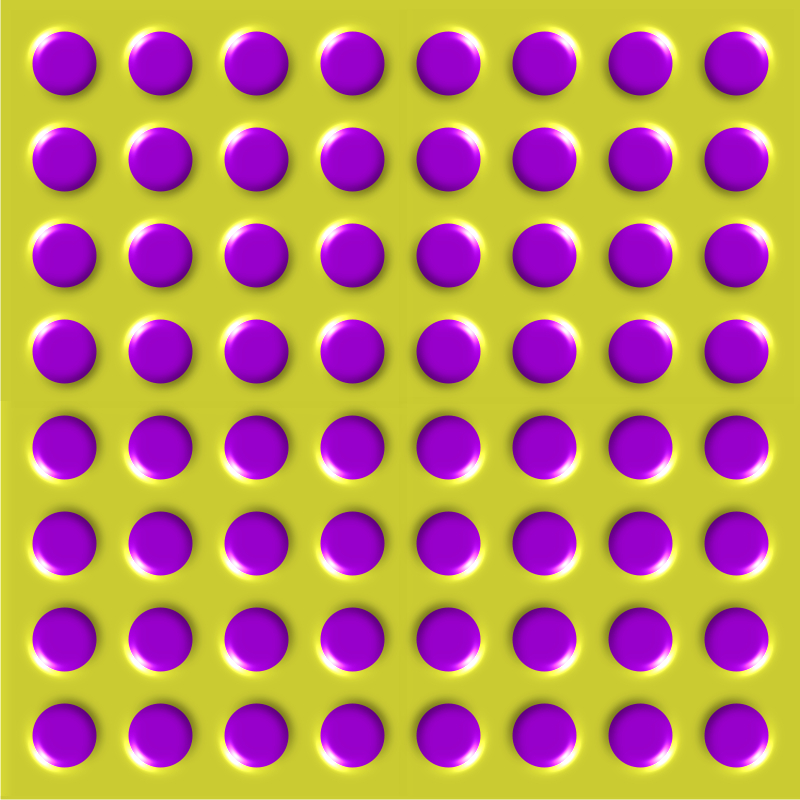 The image appears to expand slowly. 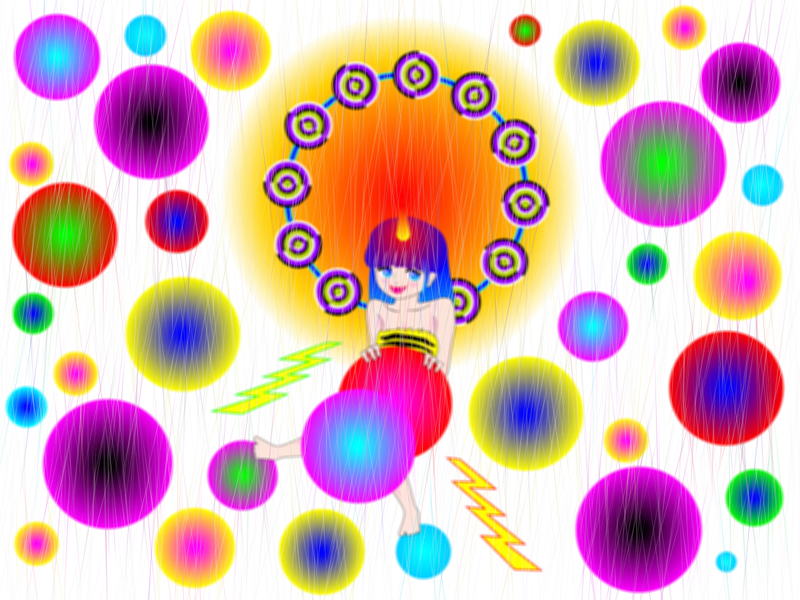 "Thunder girl and plastic disks"
Disks appear to expand or contract. 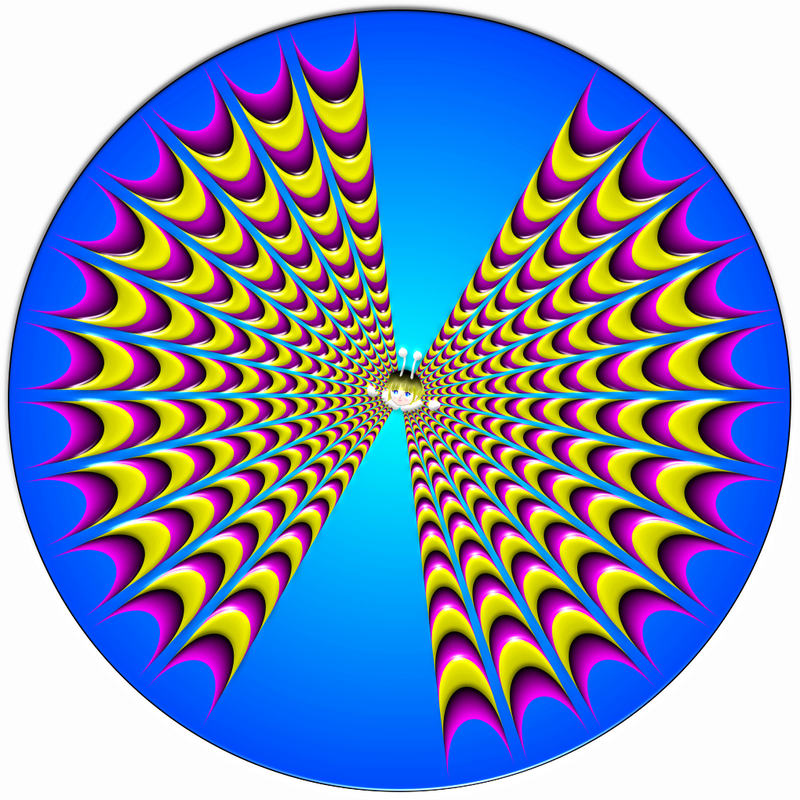 The ring of 'drums' appears to rotate clockwise. The original image is shown here. The image appear to expand. 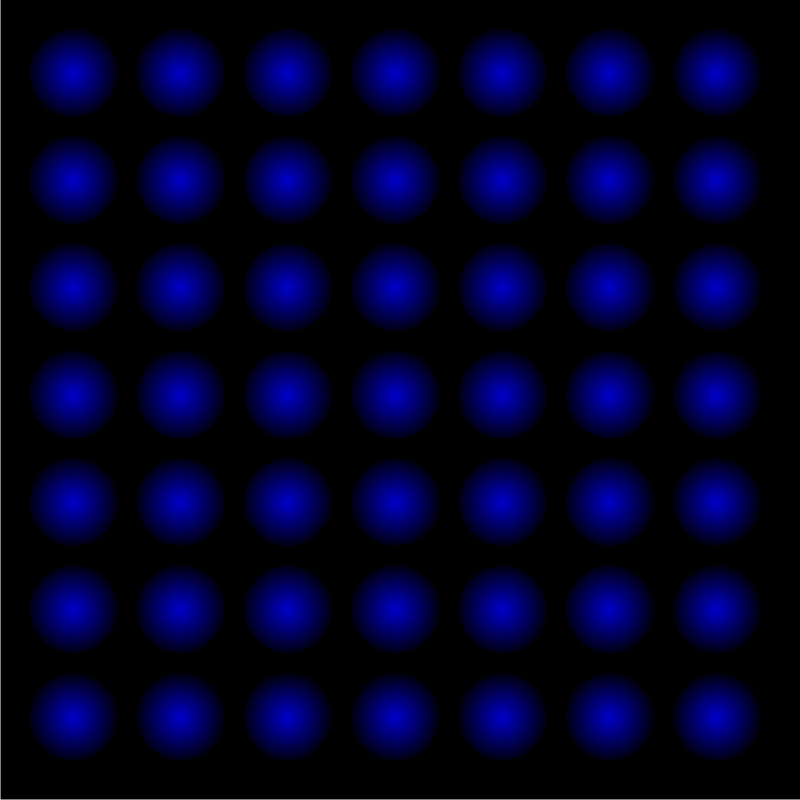 The pattern appears to expand when observers approach the image. Each crown-of-thorns starfish appears to expand. 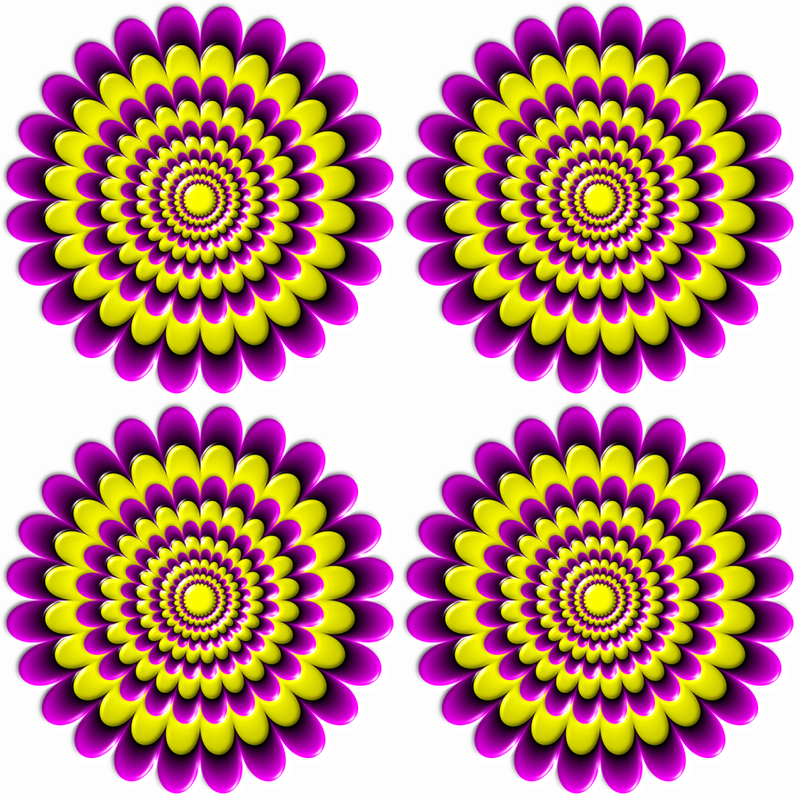 Each pink top appears to contract. 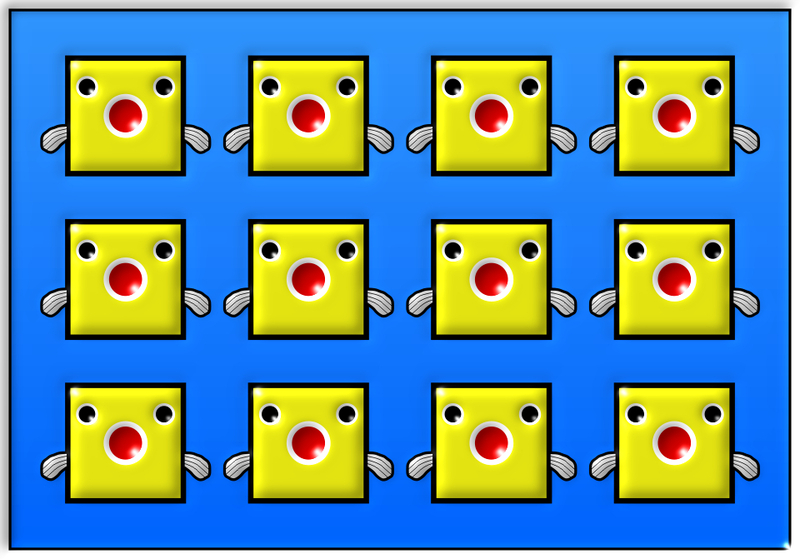 Each shell appears to expand. 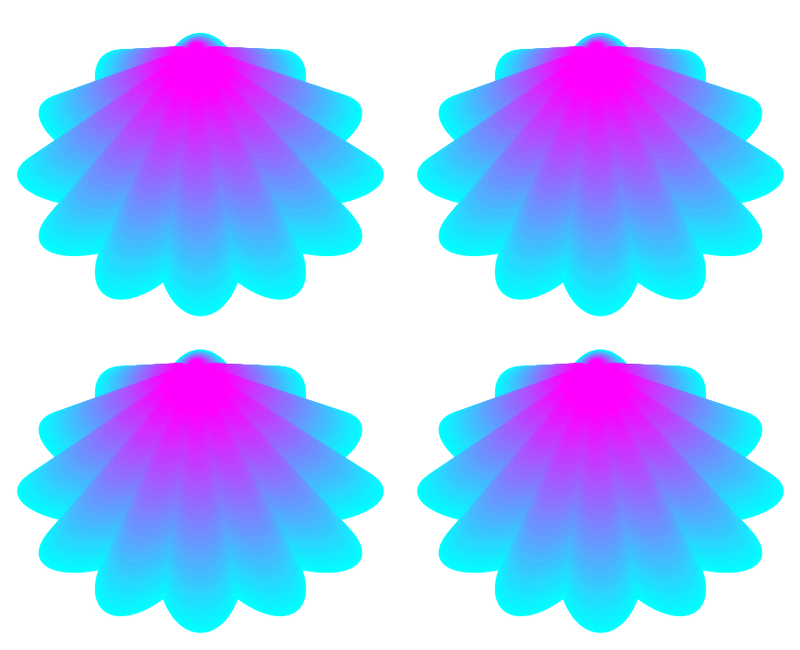 Each shell appears to expand. 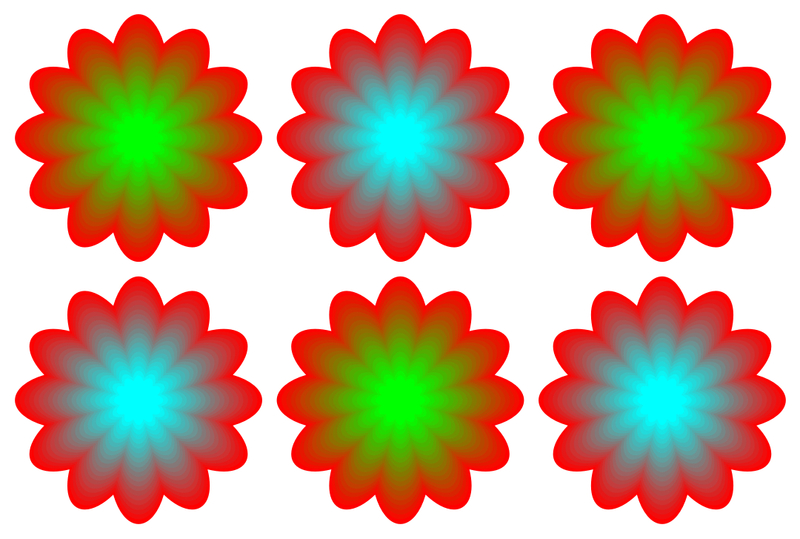 The pointing directions appear to converge though they are the same image.